Selling homeowners on the idea of installing battery-based energy storage systems (BESS) wasn’t high up on the agenda for company executives aiming to gain an early lead in the nascent market. That was until Tesla CEO Elon Musk made a media splash with the introduction of the Powerwall and Powerpack lithium-ion BESS on April 30, 2015. On Sept. 8, Tabuchi America, the U.S. subsidiary of Japan’s Tabuchi Electric Co., one of the world’s largest manufacturers of solar energy inverters, announced it was plowing $300 million into a residential solar-plus-storage loan and lease program. Partnering with non-profit energy efficiency and renewable energy advocacy Electric & Gas Industries Association (EGIA), Tabuchi America’s program is the largest financing program of its kind to date. Dubbed the GEOSmart SolPower Program, Tabuchi America will finance residential installations of solar PV systems and Tabuchi smart inverters and lithium-ion (Li-ion) battery-based energy storage systems (BESS) at 1.99% over 10-year terms and 4.99% over 20-year terms. Loans of 12 and 15 years will be available as well, as are loans with a zero down payment option and no prepayment penalties, Tabuchi America highlights in a news release. That’s extremely attractive when compared to the 15%-20% banks are charging on consumer credit card debt. EGIA will distribute GEOSmart SolPower loan funds for Tabuchi America directly to borrowers via its GEOSmart Financing Clearinghouse to cover as much as 100% of the cost of materials, installation and development. In contrast to third-party residential solar leases, customers own the systems, as well as being able to take full advantage of government tax and solar energy incentives, and without having to use their homes as collateral, Tabuchi points out. “The market is full of interest in solar-plus-storage, but high upfront costs and the complexity of seeking out separate solar and storage systems has been a roadblock for too long,” Tabuchi America COO and President Harumi McClure stated. Currently available in 17 U.S. states, Tabuchi America and EGIA continue to expand GEOSmart SolPower’s roster of qualified solar energy installers. 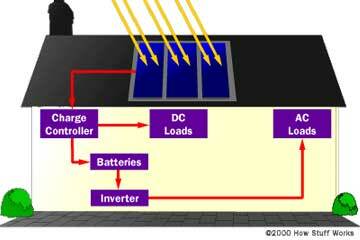 EGIA is an ¨old hand¨ in what is still the young, evolving energy efficiency and home solar energy markets. The non-profit has facilitated financing of more than 400,000 residential and business projects valued in excess of $3.2 billion, according to the press release. Explained EGIA Director of Renewables and Contractor Development Paul Bony: “Promoting solar-plus-storage is perfectly aligned with our mission of facilitating energy efficiency and renewables projects, and our financing expertise is the best way to contribute to that goal. 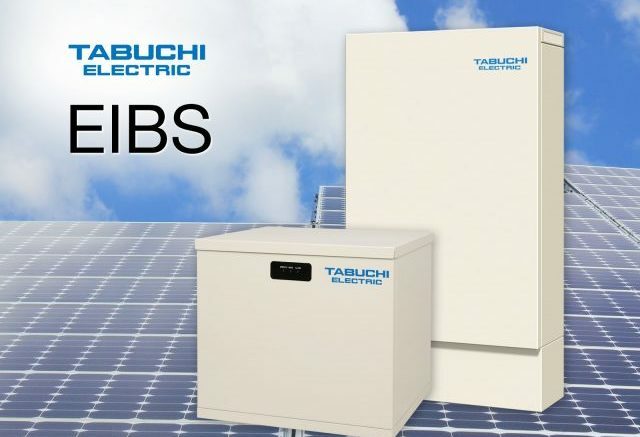 As we considered different solar-plus-storage options for a partnership, Tabuchi America stood out in the quality of its product and convenience that comes with its all-in-one smart inverter and battery package. 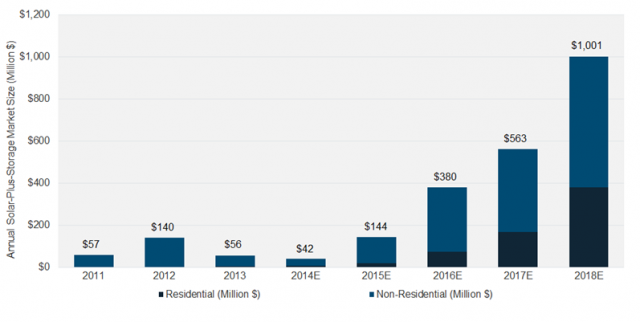 The launch of Tesla’s Powerwall and Powerpack, along with some states eliminating or significantly scaling down their net metering tariffs, opened the proverbial floodgates as competitors keen to earn a share of what has been a very small power market segment rushed to announce competing residential energy storage offerings and strike deals via mergers, acquisitions, private equity investments and various forms of strategic commercial partnerships. Tesla took things a step further when it announced a bid to acquire SolarCity. Run by Musk’s cousin Lyndon Rive, Musk, along with another Tesla board member who owns a substantial number of SolarCity shares, stood aside and did not participate in the discussion by Tesla’s board as to whether or not to proceed with the acquisition bid. Tesla’s board approved the all-stock buyout bid, valued at $2.6 billion, on Aug. 1. With much more in the way of residential as opposed to utility-scale solar energy installed, on a percentage basis, as compared to the U.S. Germany has been an early leader in residential solar PV-energy storage. As such, it isn’t designed to serve as an emergency back-up power supply, the traditional function targeted by off-grid power systems suppliers. Rather the sonnen eco compact is designed to maximize the value of grid-tied residential solar PV systems by increasing solar energy self-consumption and taking advantage of time-of-use (ToU) and supporting grid service market incentives, the company explains. Intuitively, an inherenet synergy seems ready to be realized by combining SolarCity’s ability to sell, finance and install residential solar PV systems and Tesla’s fast growing capacity to produce and sell its Powerwall BESS. Whether or not a merged Tesla-SolarCity combination, or any other company or combination of companies, can do so – and if buyers realize the expected value and benefits – remains to be seen.